Let’s be honest: We all love to save money. For this reason, when we start out our online money-making journey most of us tend to choose shared hosting plans to get our website online. But, the problem with shared web hosting – especially for those of us in the adult space – is that when websites grow to a certain level, it no longer makes sense to keep paying for a shared hosting plan when a VPS server is the best choice. Here are a few myths surrounding the best adult VPS hosting providers. Probably like you have at one point in time, I naturally assumed VPS hosting would cost a fortune, and that the ongoing costs would pile up into the thousands. But, luckily the reality is that the price of VPS servers has decreased substantially, especially over the past few years. Today, you can easily find high-quality virtual servers for your adult website in the price range of $10 to $100. It’s fair to say that setting up a virtual server can be a little tricky for beginners, but once read a few articles or get a little guidance from your server’s technical support team, installing and managing an adult VPS becomes a very simple process. For this reason, it’s very important to give your money to a web host who is known for having a strong technical support team. 1. Large storage space, memory, and bandwidth allocation. And in the online adult entertainment industry, traffic is a constant. This is why it’s important a quality adult VPS provider provides enough monthly bandwidth space. Otherwise, you’ll encounter some serious problems. 2. You have the ability to upgrade your VPS at any time to adapt to more traffic and users. 3. With shared hosting, you have no way of configuring a server to fit your site’s needs. With a VPS, you can add or delete addons whenever you please. 4. Most VPS providers give you your very own email client that allows you to send an unlimited number of emails. It’s important to get a sizeable amount of returning customers to your adult site, and this is only possible with a strong email marketing game. With all this said, we’ve researched and compiled a list of the best adult VPS providers on the planet. Some are offshore, others may be near your own location, but all of them deserve some type of recognition. Keep in mind that none of the following best adult VPS providers are considered ‘bulletproof’, as they allow legal adult content only. ViceTemple has additional adult VPS available for users who would prefer more SAS storage space rather than the fast SSD storage, and with the same price points – which is great. Each package includes full root access and a wide selection of Linux OS templates. Overall, we like the capabilities ViceTemple offers, as well as the privacy, security, and wide range of content types they accept. ViceTemple is a rapidly growing adult hosting provider you should definitely keep your eyes on in 2018 and beyond. Best adult VPS solution on this list, bar none. Host4Porn.com, a WhiteLabel IT Solutions company, is based in Hackensack, New Jersey and has received numerous hosting awards since their inception. Host4Porn operates out of their own private data center that is also located in New Jersey. They also offer adult hosting solutions to resellers. Their adult VPS servers run on KVM virtualization. Host4Porn also gives its customers free DDoS protection, a hardware firewall, the latest Linux OS, a SolusVM control panel, and the Kloxo hosting platform. Plesk can be purchased for $15 a month, cPanel costs $17 per month, and WHMS costs $15.99 each month. Additionally, extra IP addresses cost $2 per month, additional bandwidth costs $0.50 per GB, and SSL certificates have a $29 yearly price tag. TmzVPS.com has been offering hosting and reseller hosting services since 2007. While their ‘Managed’ virtual private servers are available with SSD or HDD storage and can run on OpenVZ or KVM hypervisors, TmzVPS’s ‘Unmanaged’ servers are only available with SSD disk space and KVM virtualization – which is preferred in most ases. They have servers in two facilities based in the USA and UK. Optional addons include Proactive Monitoring for $9 a month, additional IP addresses for $2 each, 2 GB of extra RAM for $10 per month, 2 extra CPU cores for $10 per month, and $8 a month for one extra TB of bandwidth. WebAdmin is included, but cPanel can be purchased for $12 per month. More than 100 OS templates are available. TmzVPS has exceptional storage and memory capabilities considering their prices, and we highly recommend their largest VPS package to those running resource-intensive adult websites. WebHost.pro was formed in 2001 by James Gardner and Charles Yarbrough in Los Angeles, California. The company is known for its helpful customer support and tech team, as well as seamlessly running websites that experience little to no downtime. Their main datacenters are based in Los Angeles and Las Vegas, though they also maintain connections to servers alongside the East coast of the United States, in addition to servers in Toronto, Canada, London, UK, Tokyo, Japan, and in Sydney, Australia. Each VPS from WebHost.pro includes full root access with remote reboots and custom OS installs across HPE ProLiant G9 servers. SolusVM is also included, but cPanel can be purchased for $11 per month. Unfortunately, no IP address is included, but one can be purchased for $2. Likewise, these VPS packages are only available in WebHost.pro’s Las Vegas and Los Angeles facilities, which isn’t ideal for European users unless they’re targeting an American or Asian audience. MojoHost.com has been operational since 1999 and is headquartered in Michigan, USA with two datacenter facilities based out of Miami, Florida and Amsterdam, Netherlands. MojoHost owns and operates their own international network and IP space and is connected to dozens of internet exchanges with a total connectivity capacity of 250 Gbps. Their VPS packages are available in SSD or HDD disk space. If you purchase MojoHost’s Platinum Support, then cPanel is free, otherwise it costs $15 a month while DirectAdmin costs just $5. Linux variations are available with each adult VPS, but Windows Server 2012 can be purchased for $15. Each package includes one free IP address, but additional IP’s can be purchased for $2.50 each. R1Soft backups cost $10 for every 50 GB, and support plans range from $29 to $149 per month. A few more of MojoHost’s extras includes: A ProxyPass license ($50 per month), Softaculous ($2), Fantastico ($4), Wowza Media Server ($50 per month), and SendFaster TCP Acceleration 100 Megabit ($20 Monthly). Their high-quality makes them one of the best adult VPS providers around, though just keep in mind MojoHost does comply with DMCA complaints, so it’s best to stick with non-trademarked adult content. LibertyVPS.net is a free speech advocate located near Amsterdam, Netherlands with datacenter internet uplink providers including the likes of Level3 and Hurricane Electric. LibertyVPS.net is one of the few adult VPS providers on this list who readily accept Bitcoin payments. Their virtual servers run on KVM hypervisors and are available with Linux and Windows OS. LibertyVPS throws in a SolusVM control panel. Although their addon options are limited, we like the amount of storage and bandwidth space they allocate each month. The mostly positive reviews from customers are another reason to go with LibertyVPS.net for your adult hosting needs. Recommended. DigitalOcean.com is a cloud hosting solution tailor-made by and for developers. Since 2004, they have maintained a customer base across 196 countries with 12 datacenter locations. DigitalOcean packages come with a standard 1 Gbps network connection alongside powerful Hex Core machines. They’re also well-known for their knowledgeable technical support team. Each high-quality VPS from DigitalOcean includes automatic backups, statistical monitoring, a firewall, and runs on popular KVM hypervisors. Unfortunately, no cPanel is available and their support system does not have phone or live chat support, although their ticketing system tends to resolve problems in a timely manner. Overall, one of most reliable best adult VPS providers on this list. SiteValley.com has been in business since 2001 and is based out of New Hampshire, USA. They utilize multiple datacenters, with facilities in Rotterdam, Netherlands and Georgia, USA. Their adult VPS plans are compatible with OpenVZ and Xen virtualization technology. While we wish SiteValley provided more storage space with their larger VPS plan, they make up for it by throwing in four free IP addresses. Webuzo control panel is included with each package, with a DirectAdmin panel costing $5 a month and cPanel running in at $11 per month. One free domain and full root access are also included. Additional IP addresses cost just $1 each while CDP backup space starts at 10 GB for $2 a month and goes up to 100 GB for $18 each month. TmdHosting.com was formed in 2007 and has datacenters located across multiple continents, including in Phoenix and Chicago in the United States, London, UK, Amsterdam, Netherlands, Tokyo, Japan, Singapore and in Sydney, Australia. Apart from offering web hosting solutions, TmdHosting also offers open source hosting packages. TmdHosting.com is currently celebrating their ten-year anniversary by offering customers 50% their first month. Each adult VPS from TmdHosting includes cPanel, one free domain, Softaculous, and dozens of free applications and templates. Available addons include: Domain privacy ($9.99 per year), Sitelock Basic ($19.95 per year), SpamExperts Email Filter ($9.95 per month), BitNinja Server Security ($19.95 per month), and CloudLinux OS ($14.95 per month). WebHosting.uk.com, a member of the Hyperslice Group, is a privately-owned adult-friendly hosting company established in 2001 with a customer base of over 30,000 users with around 1,000,000 websites. Their VPS’s utilize Quanta technology and are available on the Linux and Windows platforms. While each VPS from WebHosting.uk.com includes a free Onyx control panel, cPanel can be purchased for $9 a month. We like the fact that users can choose between the amount of SSD storage space mentioned above, or they can opt for double the amount of disk space by using HDD storage. Spam Filter for five domains costs $3 and goes all the way up to $270 for 500 domains. Additional R1 Soft CDP backup space can be purchased for $10 at 50 GB up to $35 for 500 GB backup space. AltusHost.com was formed in 2008 and is well-known for their helpful technical support team. AltusHost maintains its own servers inside three Tier-3 European datacenters, locations include: Amsterdam, Netherlands, Stockholm, Sweden, and Sofia, Bulgaria. Each adult VPS comes with one IPv4 and one IPv6 network. Softaculous costs $2, cPanel costs $10, DirectAdmin costs $5, each additional IP address costs $2, and an extra 1,000 GB of monthly bandwidth costs $10. While 10 Gbps DDoS protection is included, upgrading to a 20 Gbps protection costs $199 per month, which may not be worth it unless your website is constantly bombarded with attacks. HostSailor.com has been in business for several years and is based out of Dubai, UAE. Their datacenters are advantageously located in Amsterdam, Netherlands which has a 1 TB internet capacity and Bucharest, Romania which has a 2 TB capacity. HostSailor readily accepts Bitcoin payments. Virtualization options for their VPS’s includes OpenVZ, Xen, and KVM. HostSailor’s VPS packages also come with one dedicated IP address and an IPv6 network, as well as a SolusVM control panel. cPanel costs $14 a month while SSL certificates range from $44 to $1,349 per year. In the end, HostSailor is a fairly popular option among adult webmasters. 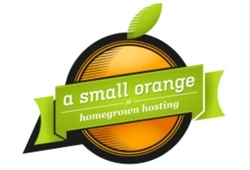 ASmallOrange.com (ASO) was established in Atlanta, Georgia in 2003. ASO maintains its servers in two US datacenters, located in Dallas, Texas and Dearborn, Michigan. ASO’s hardware includes dual Intel Xeon Hex Core processors with 2.5 GHz HyperThreading. They throw in free on-demand hard drive backups in addition to scheduled weekly backups. Equipping your ASO server with priority support will run you back $15 a month while Cloud VIP Boost – which prioritizes your servers CPU and storage throughput – will cost $15 each month. VPS.us was formed by IT professionals and has been operating since 2011. The company maintains servers in Atlanta, Georgia and Amsterdam, Netherlands. Their servers are 100% adult content-friendly and plans are compatible with Xen and OpenVZ virtualization technology. VPS.us’s adult-friendly virtual servers are compatible with six variations of Linux OS. Each plan includes a free Webuzo control panel, while cPanel costs $11.95 a month, DirectAdmin costs $5 each month, and ISPmanager Lite 5 runs in at $3.50. Administration management costs $40. While we aren’t thrilled with the amount of standard HDD storage VPS.us gives with the X-8 plan, their X-1 plan is a great low-cost option for those just starting out in the adult industry. Cloud9Hosting.com is headquartered in Irvine, California and was born out of the accounting industry in 2000. This explains why they offer Desktop-as-a-Services (DaaS) such as Quickbook and Exchange hosting. The company is an Intuit Commercial host and Premier reseller. Fortunately, Cloud9Hosting accepts Bitcoin and their adult VPS plans are available on Linux and Windows OS. Cloud9 offers the latest operating system variations, including CentOS, Ubuntu, and Debian but no Windows. Their server monitoring addon costs $1.99 per month, while GeoTrust SSL certificate prices range between $59.95 and $299.95. Sitelock, which includes malware protection and virus scans, ranges between $2.08 and $10 per month. Their premium service packages are fairly pricey, ranging from $110 to $799 a month. AdultFriendlyHosting.com has offered adult web hosting services since 1995. They also offer search engine optimization and email marketing services for the adult industry. Each AdultFriendlyHosting VPS runs on the CentOS Linux operating system and includes SSH root access, cPanel, and one dedicated IP address. Unfortunately, their add-on capabilities are very limited and we wish the company provided more memory storage. ExMasters.com was founded in 2001 and focuses on providing low-cost adult web hosting solutions. Their servers run on Linux and use the latest Intel and Cisco technology. Datacenter locations include New York City, San Diego, and Prague of the Czech Republic. All network lines are dedicated and never shared. While Linux is equipped to ExMaster’s adult VPS servers by default, Windows Server 2003 and Windows Server 2008 each cost an additional $15 per month. Their proprietary control panel is free, while cPanel costs $15 and DirectAdmin costs $5. Each VPS comes with one dedicated IP address, but 8 extra IP’s can be purchased for just $12. Monthly hard drive backups cost $5, weekly backups cost $15, and daily backups cost $25 a month. AdultHosting.com began its long journey back in 1997 along the Canadian East coast. AdultHosting operates on a BGP4 network using reliable backbone providers like Level3, BELL, Teleglobe, NLayer, and Tiscali with a total network capacity of 36 Gbps. They do offer a reseller program for their dedicated servers. Their prices definitely are not the best, but they offer plenty of monthly bandwidth for moderate-sized adult websites. Another downside to using AdultHosting.com is the fact you must contact the company directly to order an adult VPS. But, each GB of overage only costs $0.25, which can be considered a plus.